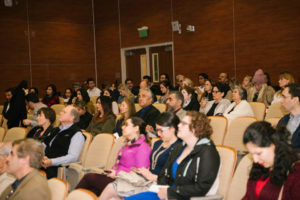 The first OMID Salt Lake City (SLC) Fund raising event took place on Saturday November 4, 2017 at the University of Utah, Carolyn Tanner Irish Humanities building. 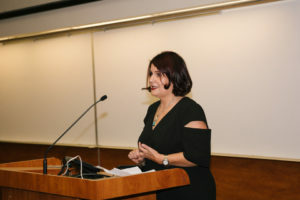 SLC welcomed Marjaneh Halati OMID’s founder and Executive Director. 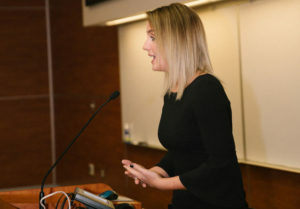 Other speakers included Lily Alavi, professor at the University of Utah and the keynote speaker was Lauren Wilson, a former Miss Utah (2016) who works with the suicide prevention charity HOPE. 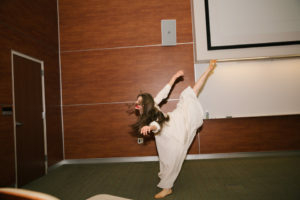 The Creative Dance Arts dance academy performed a duet by Austyn Bazzano and Nick Heiner and a solo by Elise Monson. 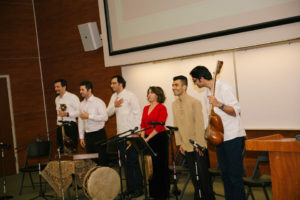 The Persian music group JAANAN delighted the crowd as they played some classical Persian music. JAANAN is made up of Amir Mohammadi-Ney and Director, Amir Aghayi-vocal and santoor, Zohreh Taher-vocal and Daf, Farhad Shiri-vocal, Babak Goshayeshi-Taar, Sorena Keihani-Taar and Roozbeh Gholizadeh-program manager. 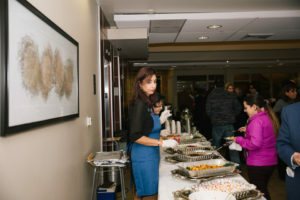 After the moving comments by Marjaneh Halati and a live auction to support specific OMID young ladies in Iran, the attendees were treated to wonderful Persian food by Zaferan Café, a local Persian restaurant and also by Pars Market, a local Persian market and restaurant. The evening concluded by selling the silent auction items. Silent auction items were donated by the OMID young ladies in Iran, jewelry items by Farahnaz Kafai pour of Tehran Gallery of California , Persian jackets donated by Lily Alavi and a beautiful calligraphy art piece by Masud Valipour of Ketab Sara bookstore in Westwood LA. We wish to thank everyone who attended, plus all the volunteers, speakers and event partners who made this event such a success. We especially thank Lily Alavi, Farhid Hafezi, Mohsen Hamidi, Parisa Farahanikia, Farhad Shiri, Chris Soelberg and Elham Zahiri, for their passion, drive and commitment in ensuring this first event was so successful.